You are here: Home / Comparison / Rinnai vs Rheem: Which Tankless Water Heater is Better? Rinnai vs Rheem: Which Tankless Water Heater is Better? There’s nothing worse than running out of hot water while you’re in the shower. And because of an unreliable water heater, you will step out of the shower freezing and shivering from the cold. This is the reason it is always better to invest on a quality tankless water heater that suits you and your family’s needs. If you have it in your home, never again will you run out of hot water. With a lot of brands to choose from, selecting the best tankless water heater might seem like a daunting task. 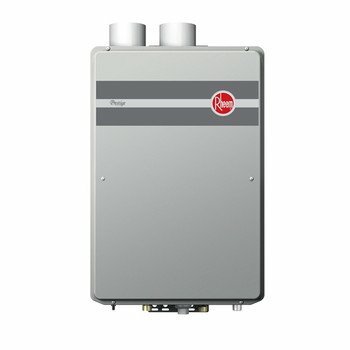 In this section, we hope to shed some light on the general similarities and differences of Rinnai and Rheem tankless water heaters. If you have read reviews on Rinnai tankless water heaters, you might notice that actual buyers recommended it to people who are planning to upgrade their water heaters. It is true that you can have hot water on demand and you will never run out of it. It is a relief to have this water heater during winter, wherein people can take longer showers. Actual buyers claim that they have saved a lot of money on electric bill upon using Rinnai. However, Rheem also comes close in terms of energy efficiency. Loyal Rheem customers clam that the product offers an innovative and energy-efficient water heating. This is where the competition with Rheem becomes complicated, as both products give excellent performances. If you are torn between Rinnai and Rheem, you might want to consider the space you are living in. You also need to manage your expectations on how well both products would perform to your satisfaction. In this section, let’s take a closer look on the defining features each of these two tankless water heaters have. With the Rinnai RUC98iN, you can save a lot of space because of its compact design. It can be installed on either an exterior or interior wall, letting you free up some more space for other important things. Rheem also has this type of sleek design and it can fit into any household. It is also worth mentioning that both have stainless-steel finishes that ensures durability and stability. Both brands use gas as the source of power. Rheem offers natural and propane gas use and it is equipped with multiple venting options. Rinnai, on the other hand, comes with a pre-attached half inch gas line compatibility mode, which is very convenient during installation. Rinnai offers you a lot of flexibility in terms of installation. It will be able to give you the freedom to move it, especially if you are in narrow spaces. Rheem is also very easy to install but the brand recommends that you seek professional help, due to complexities that may arise in the venting process. Both tankless water heaters can heat water to temperatures 95°F to 140°F. But what sets Rheem apart is that it also has a cold temperature limit of -30°F. Both models are using tankless technology, which is an indication that both will be able to help you save more money on electric bills. As tankless water heaters only use energy when used, you no longer must worry about the long-term costs of having a traditional tank. 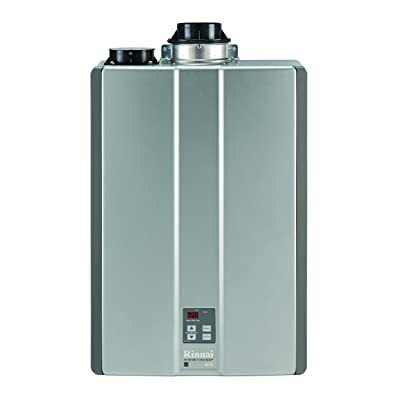 Some of the best features of the Rheem is that it has a heat condensing body, it can be operated using a remote control, the existence of an EZ-Link Wire that connects two tankless waters to operates as a single unit, and its high-altitude performance. Other features of the Rinnai include the efficient design, its energy saving capabilities, its zero-maintenance cost, flexible installation, and the versatility to switch from propane to natural gas. Now that you have read the comparison between Rheem and Rinnai, it is now up to you to choose which one is the right tankless water heater for you. As they do have similarities and differences, you should carefully evaluate each feature and decide which one has more value for you.